Bio: Dr. Karen Bakker is Professor, Canada Research Chair and Director of the Program on Water Governance at the University of British Columbia. Her research focuses on environmental governance and innovation. The author of over 100 publications, Karen was awarded her PhD in 1999 from the School of Geography and Environment at Oxford University, where she studied as a Rhodes Scholar. She is a member of the Board of the International Institute for Sustainable Development, and the Scientific Advisory Committee of the Council of Canadian Academies. She has been a recipient of Stanford University’s Annenberg Fellowship in Communication, Stanford University’s Cox Visiting Professorship, a SSHRC Impact Award, and a Killam Faculty Research Award. She is a Pierre Elliott Trudeau Foundation Fellow and a member of the Royal Society of Canada’s College of New Scholars, Artists and Scientists. Fluent in French and Spanish, she has conducted fieldwork in over a dozen countries in Europe, Asia, and Africa. Karen regularly acts as an advisor and consultant for international organizations. She was named one of Canada’s Top 40 under 40 in 2011. Delighted that I’ll be joining the Scientific Advisory Committee of the Council of Canadian Academies. The CCA is an independent, not-for-profit organization that supports independent, authoritative, and evidence-based expert assessments that inform public policy development in Canada. Neville, K., Baka, J., Gamper-Rabindran, S., Bakker, K., Andreasson, S., Vengosh, A., Lin, A., Nem Singh, J., and Weinthal, E. 2017. Debating unconventional energy: Social, political and economic implications. Annual Review of Environment and Resources. 42, 241-266. Our Sustainable Water Governance and Indigenous Law team was just awarded a SSHRC Impact Award! Check out the full list of finalists here. Delighted that I’ll be joining the Board of the International Institute for Sustainable Development! IISD is an independent think tank working on a broad range of sustainability issues. 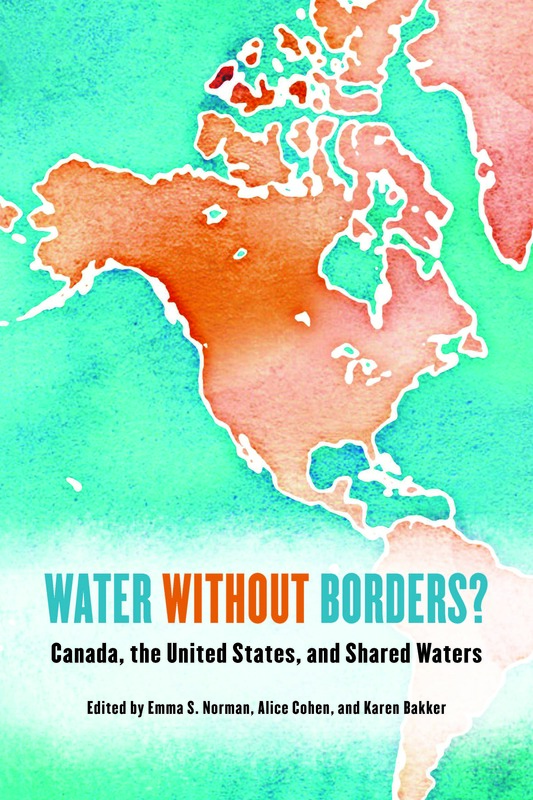 Great new book on Water Governance in Canada just out! Congrats to editors Steve Renzetti and Diane Dupont at Brock University, who lead the Water Economics, Policy and Governance Network (of which our Program on Water Governance is a member). I’m honoured to be one of the invited speakers at Banff Forum 2016. And equally honoured to be chairing a session at the UNESCO Monitoring Mission on Wood Buffalo National Park (WBNP). At the request of the Mikisew Cree First Nation, UNESCO is studying whether to designate the WBNP a World Heritage Site in Danger. Our $2.4M SSHRC Partnership Grant was just funded! Here’s the full list of successful grants from across Canada. A collective of 350+ Canadian scholars has signed a Statement of Concern on Site C: a major hydro-electricity project in early stages of construction in north-eastern British Columbia. For more information: www.sitecstatement.org. August 2015: My sabbatical is just starting: I’ll be based at Stanford’s Centre for the Applied Study of Behavioural Sciences for the academic year. I’ll be cross-appointed with the Stanford School of Earth, Energy and Environmental Sciences as a Cox Visiting Professor. During the coming 12 months, I won’t be posting regularly – taking a hiatus! Check out the updates to our Program on Water Governance website: including our new publications on water security in Canada. May 2015: Exciting news! My new online course just launched on the Harvard/MIT EdX platform. The interdisciplinary course is titled “Urban Water: Innovations for Environmental Sustainability.” The free course uses documentary-style videos to feature cutting-edge innovators working on a variety of urban water issues. Sign up here. 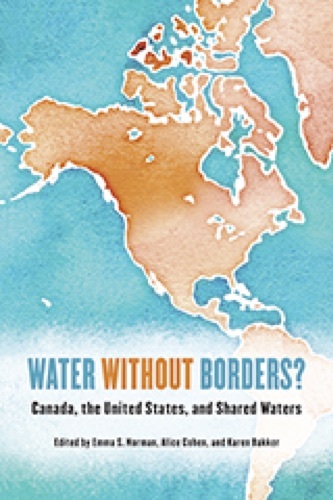 Check out my latest book: a collection of essays from leading water experts across North America: Water Without Borders (University of Toronto Press). The royalties are being donated to the WaterKeeper Alliance. Many thanks to the Walter & Duncan Gordon Foundation for their support of this project.